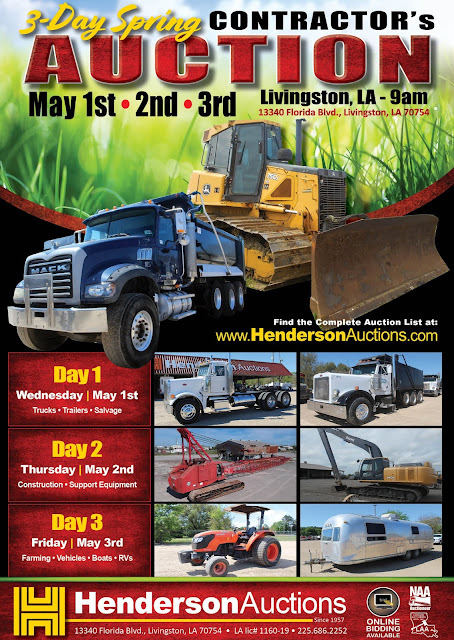 Henderson Auctions...a family owned business since 1957: 3-Day Spring Contractor's Auction Accepting Consignments Now!! 3-Day Spring Contractor's Auction Accepting Consignments Now! !